DC and Warner Bros studios are finding box office success in their individual superhero properties rather than their ensemble products. After the successes of Wonder Woman and Aquaman, they have scored another winner in their recent superhero outing, Shazam! Starring Zachary Levi, Asher Angel and Jack Dylan Grazer in the lead, Shazam! has impressed both the critics and the audiences to take the top spot at the global box office. Shazam Movie Review: Zachary Levi’s DC Superhero Film Will Make the Child in You Jump in Glee! With the movie ruling at the theatres, the studios have, obviously, greenlighted a sequel. The writer of the first film, Henry Gayden, has been roped in for the sequel too. Also expected to return are director David F Sandberg, producer Peter Safran and the cast of the first film are expected to return, though this is not officially confirmed. With most of the leads being teenagers and adolescents, Shazam! can't be in production for too long if they have the maintain the age factor for the lead characters. In the video, he also talks about how excited he is to play Black Adam now. The Rock said, "Black Adam is an anti-hero or villain that I can't wait to play. I've been developing this and it has been with me in my DNA for ten years now. We should start shooting that in about a year. Very excited about that. I can't wait to play Black Adam.... 'Cause they are all getting their a-- kicked when I play Black Adam. That day of reckoning is coming for everyone." 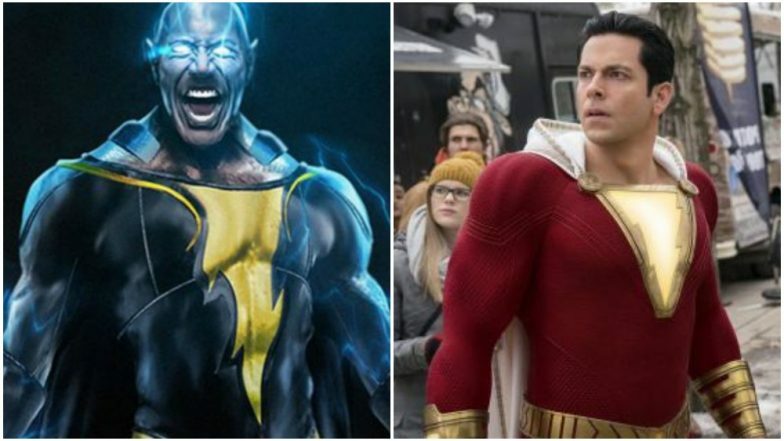 Dwayne Johnson's Black Adam has been associated with Shazam! ever since the project was announced in 2008. Black Adam is considered as one of Shazam's biggest rivals, and fans expected to see him in the movie too. However, save for an Easter Egg, Black Adam didn't make an appearance in the movie. With Dwayne Johnson's confirmation, can we expect the character to make an appearance in Shazam! sequel? Or will the studios give him a separate movie to shine before getting them together Shazam! 3? Watch this space for more updates on this!